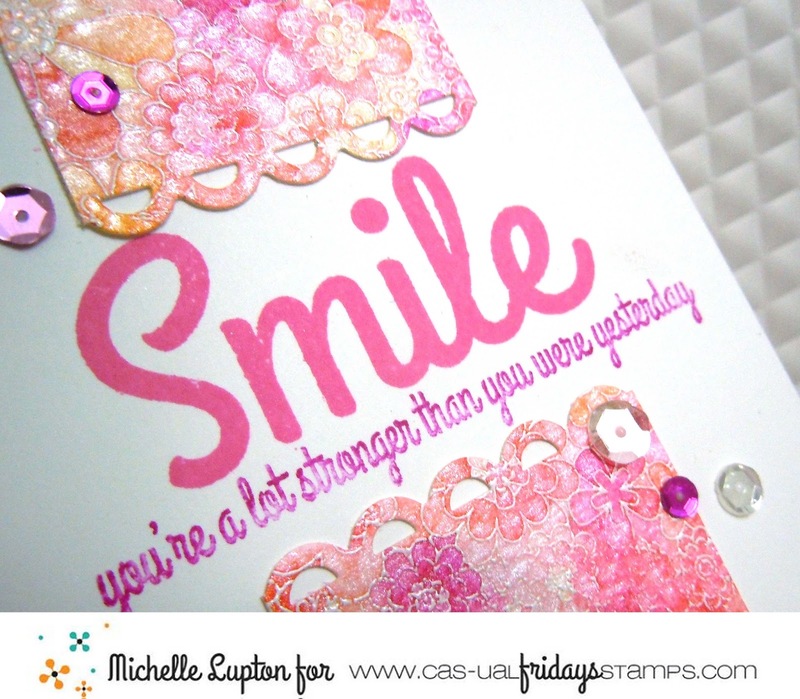 I've just finished making about 50 of these cards for the Caring Hearts Card Drive - you can find out more about this card drive HERE. I started by using an ink blending tool to add Distress Oxide ink in Worn Lipstick to the top left of the card. I then stamped the poinsettia image and the sentiment (both from Studio Katia) in Hero Arts Intense black ink. 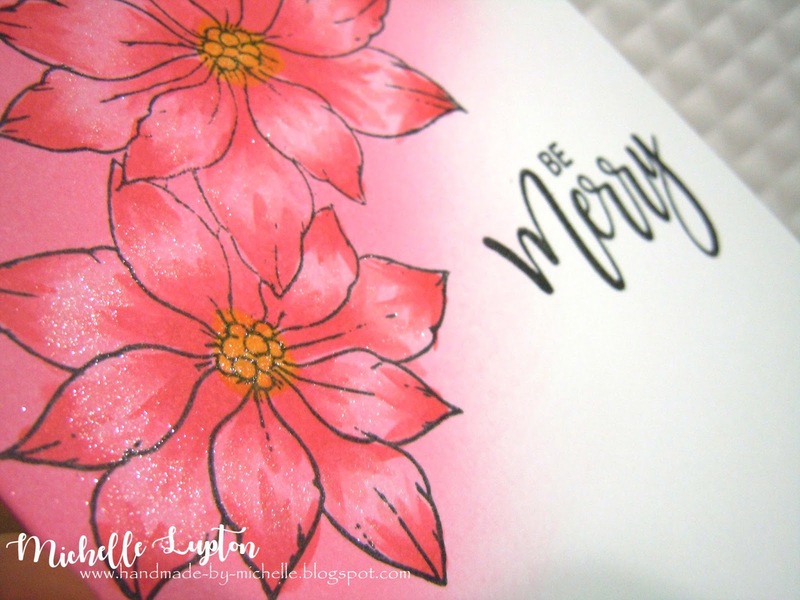 I then used Copic markers to add some colour to the poinsettias, before adding some Wink of Stella to add some shine. 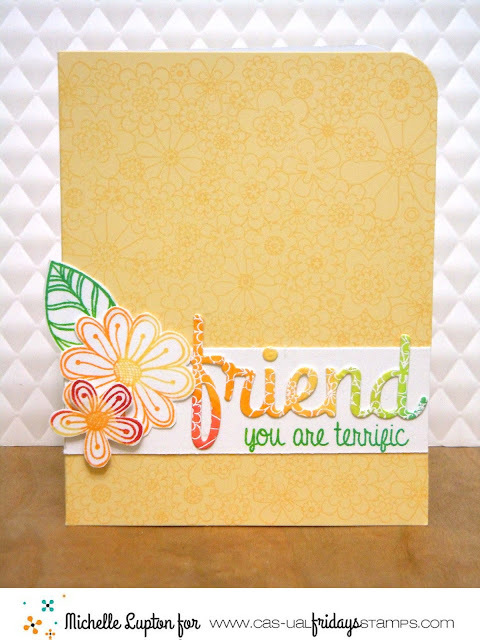 I'll be sharing this card at Daring Cardmakers for their DIY Blended Backgrounds challenge. 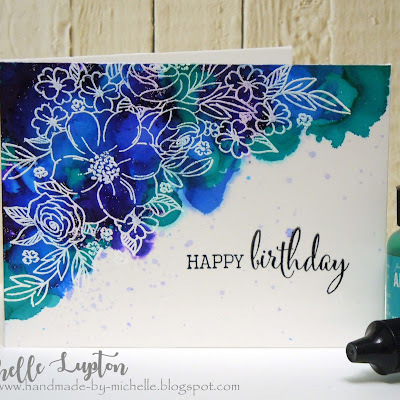 I created a bokeh effect background on a dark blue notecard from Hero Arts, using white pigment ink, and Distress Oxide inks in Salty Ocean and Broken China. 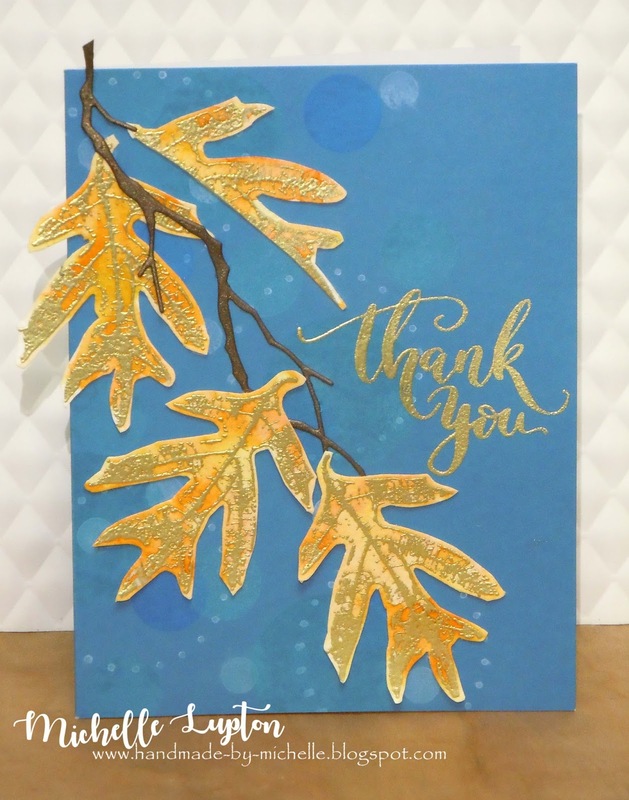 I then stamped the leaves from Stampin' Up and gold embossed, before adding some yellow and orange distress markers and spraying with water to blend. 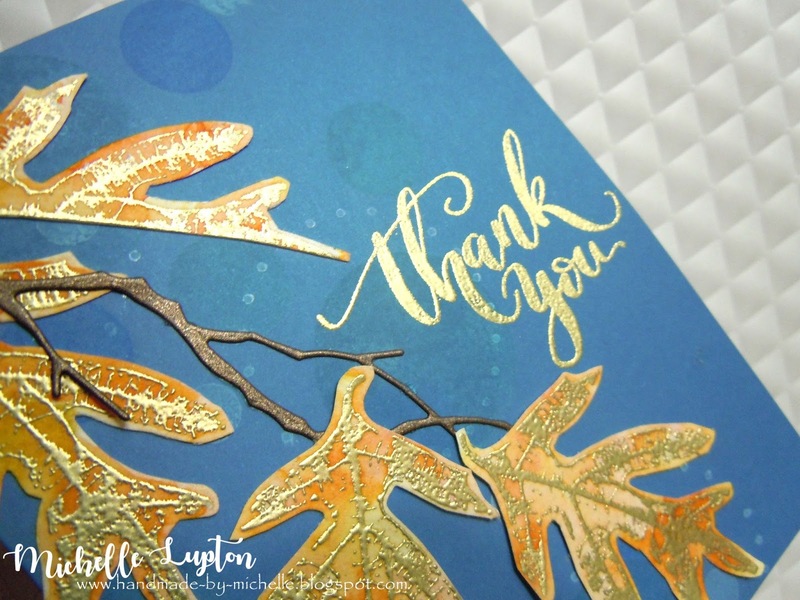 I fussy cut them and added them with a die-cut branch, before gold embossing the sentiment from Studio Katia. 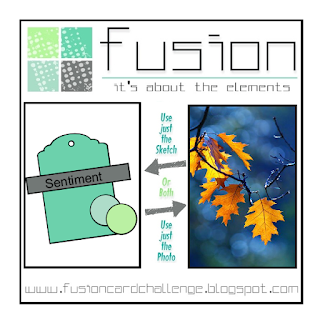 Make sure you check out the rest of the Design Team cards at the Fusion challenge blog! My workmate, Krista, asked me to make a 30th birthday card with a rainbow on it. 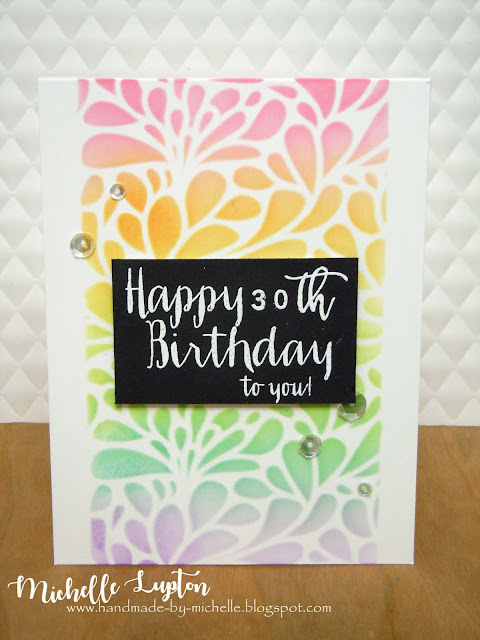 I made one, and then when I was adding the sequins, I had a glue mishap (= enormous messy puddle of glue on front of card). 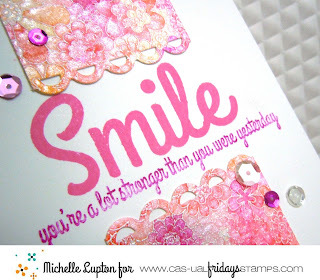 So the card in this photo is take 2! 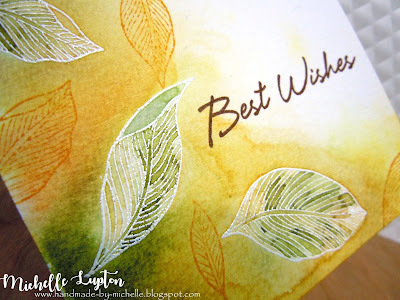 I used a stencil from Tim Holtz along with a rainbow of Distress Oxide inks. 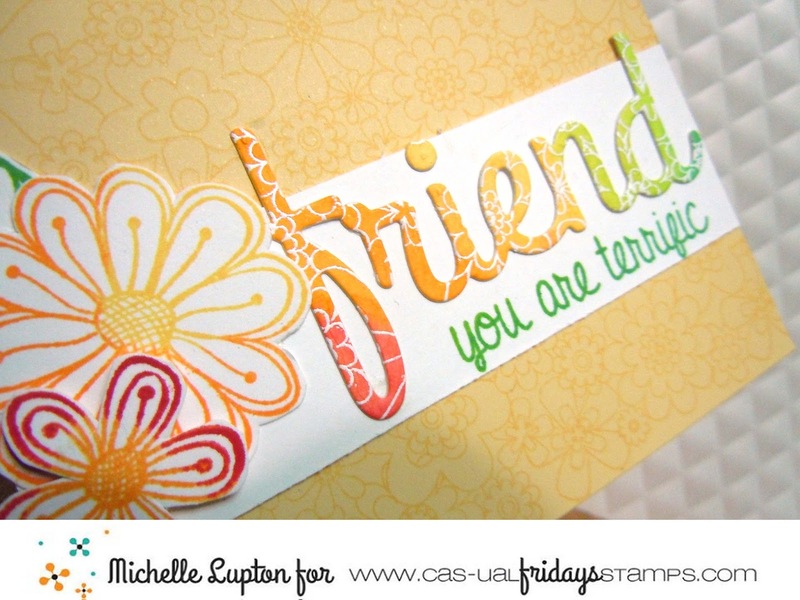 The sentiment is a combination of stamps from Wplus9 and Concord & 9th. Today we are hopping to celebrate all things fall and winter - and to rev up your holiday cardmaking motors! We are also joining Lea Lawson during her month-long Crafty Comeback Party. Lea is an amazing designer, and we are thrilled to support her! 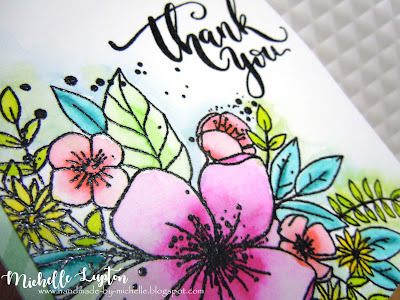 Tune into her blog every day this month - she began the party on October 7, and there have been many beautiful cards and fabulous giveaways along the way! 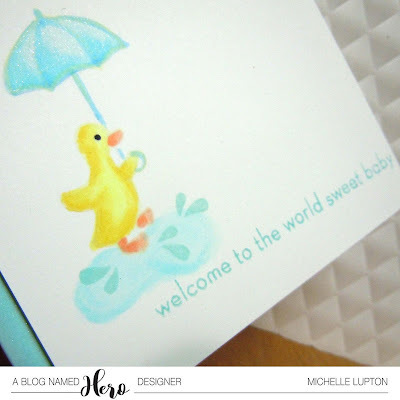 To make this party extra fun, Hero Arts has invited along the team at A Blog Named Hero! Lots of inspiration on this hop today. I used the new Color Layering Holly stamp set from Hero Arts for this card - I used the Lime to Forever Green ombre ink pad to selectively ink up the different layers of the holly leaves before cutting them out. I then decided that it was easier to do the die cutting first, because that makes it easier to line up some of the layers (especially the ones with the leaf stalk). 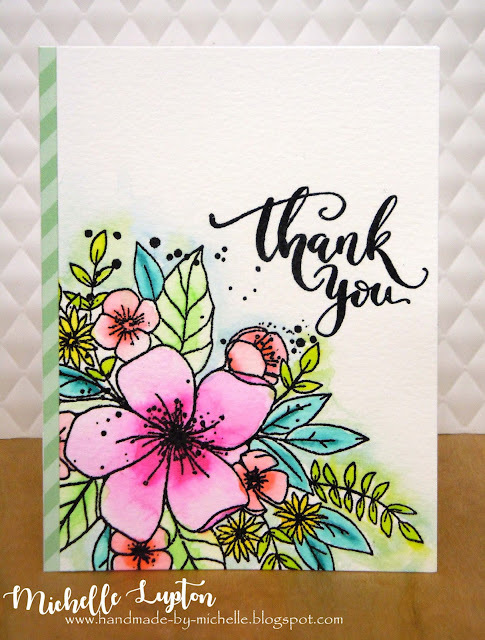 I took a Neenah Solar White card base and inked a circle of Worn Lipstick Distress Oxide Ink in the middle. 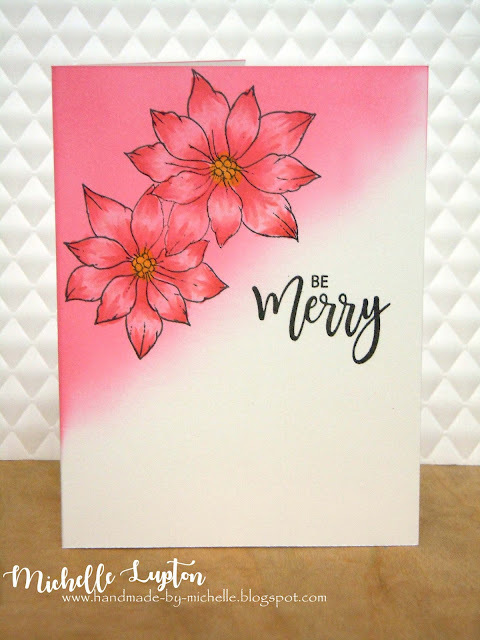 I stamped the Merry Christmas sentiment on a leftover scrap of white cardstock, before spending approximately 3 hours deciding how to arrange the sentiment and the leaves on the card! 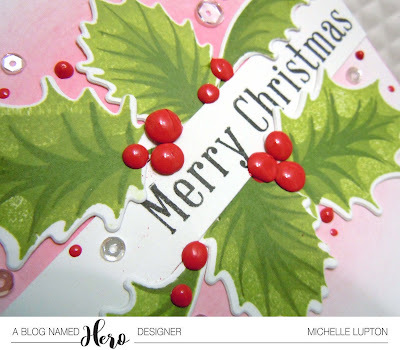 I was planning on stamping out the holly berries from the same stamp set, but I changed my mind and added some red Ranger Enamel Accents to the card - I made the big mistake of putting the drops directly onto the card, and two of them melded together into a big ugly mess! 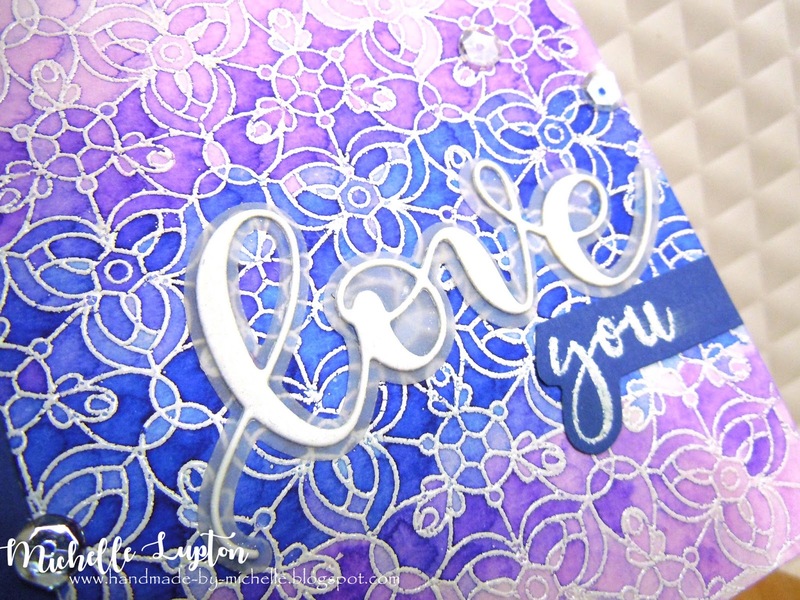 I managed to fix it by making some enamel dots on my craft mat, waited for them to dry, then added them on top of the mess I had created. Problem solved! 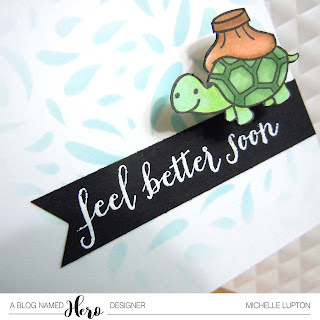 Hero Arts will be giving away a $25 gift certificate, randomly chosen from all of the comments left at averry stop along the blog hop. To enter, leave a comment on any of the blogs by Friday, November 10 at 11:59PST, and the winner will be announced on Lea Lawson's blog on Sunday, November 12. The next step on this hop is Swapna Patil - here's the complete list of participants, too! 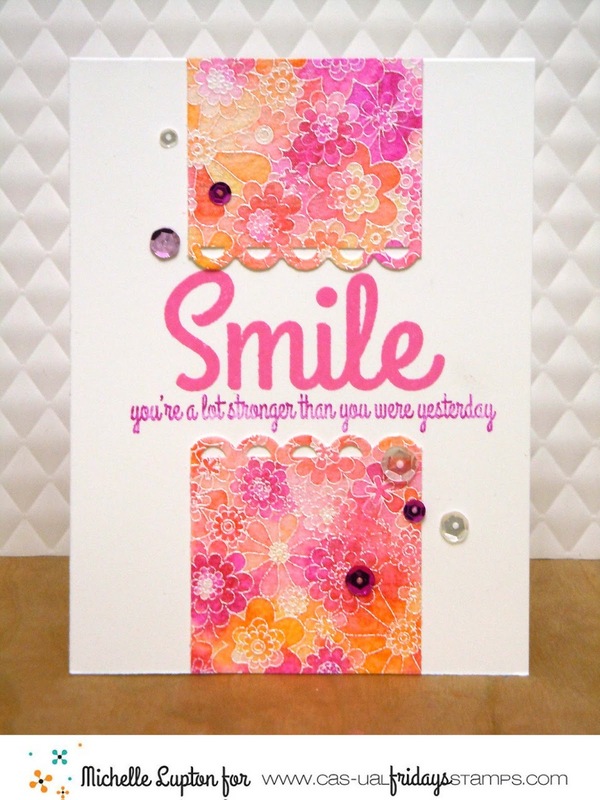 I used Full on Floral along with a sentiment from Sassy Smiles. 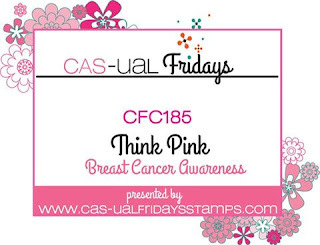 Make sure you visit the CAS-ual Fridays challenge blog to check out all the pink inspiration! 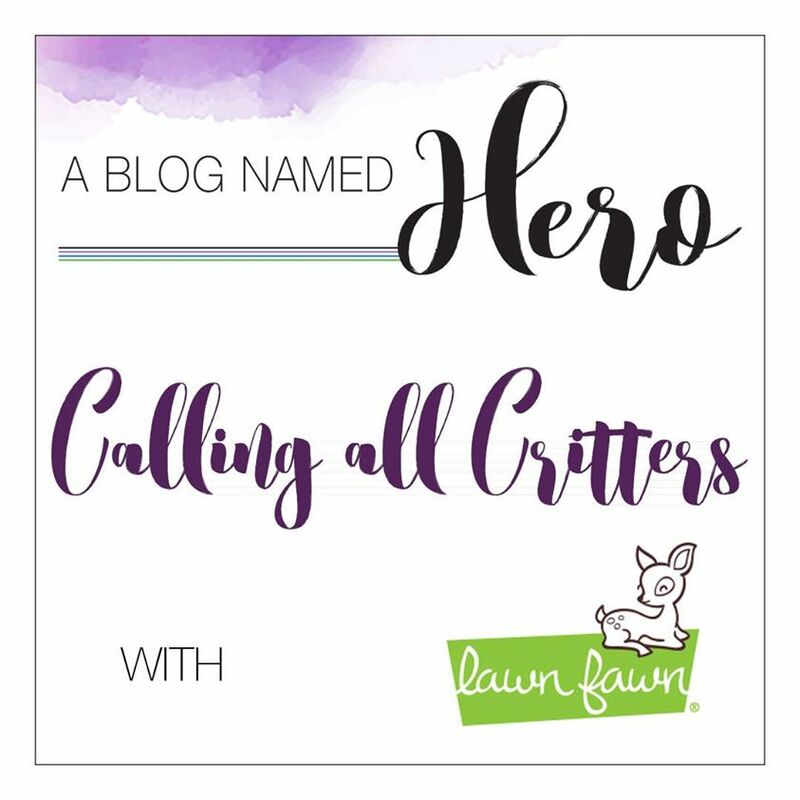 Have you checked out this month's challenge at A Blog Named Hero? 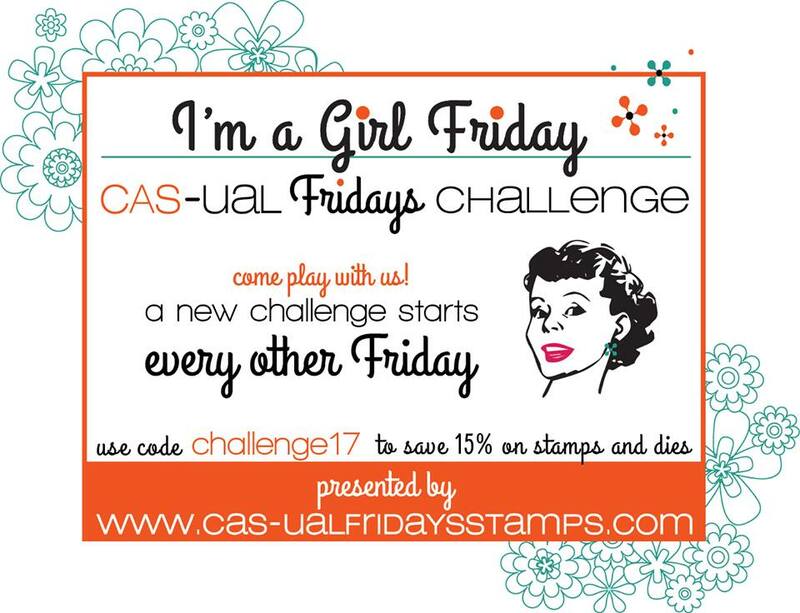 It's so much fun, because we're collaborating with Lawn Fawn to bring you a heap of cute critters! 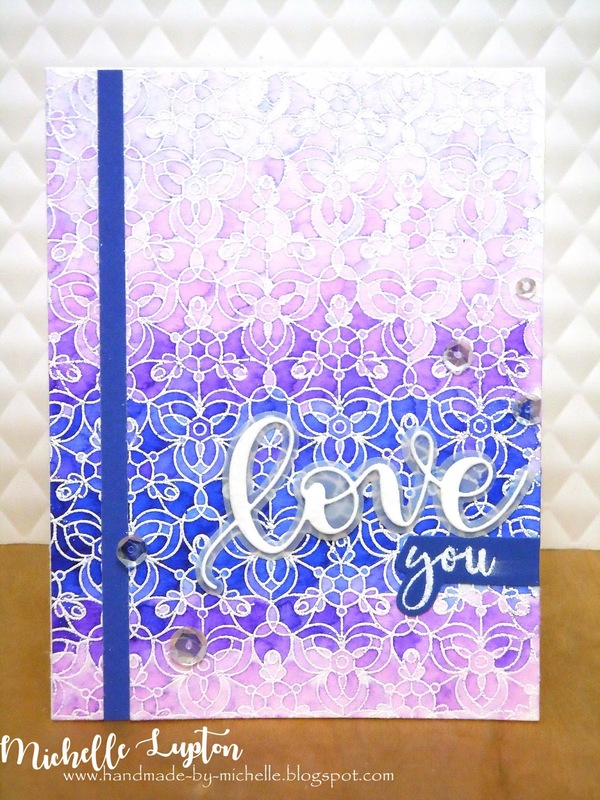 I went all soft and fuzzy with some no-line colouring on this baby card - so much so that it was really difficult to get my camera to focus to take a pic! 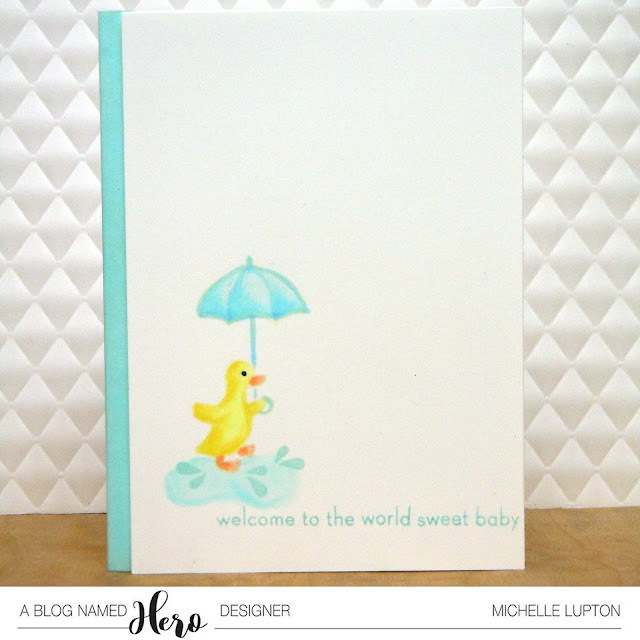 I used the "Hello Baby" sent from Lawn Fawn for the duckling, umbrella and splashes, and the sentiment is from "Little One" by Hero Arts. 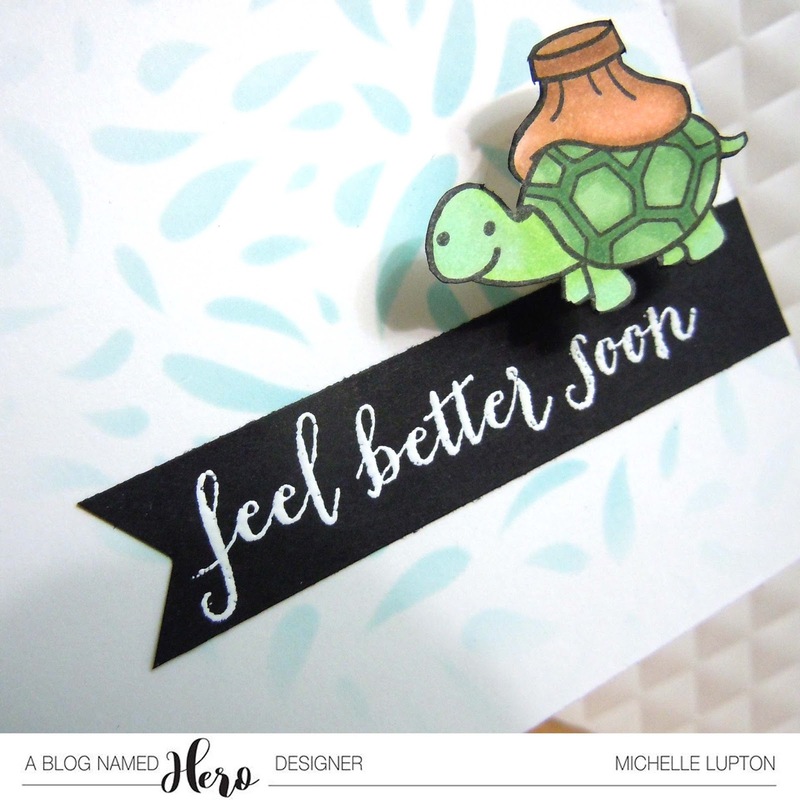 Make sure you visit A Blog Named Hero to check out the rest of the inspiration from the design team, and add your own creation to the gallery! 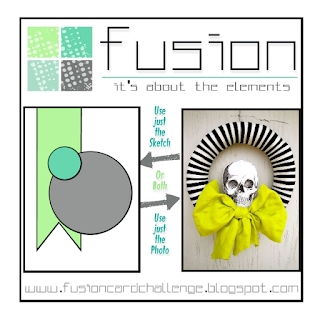 Welcome to another Fusion challenge! 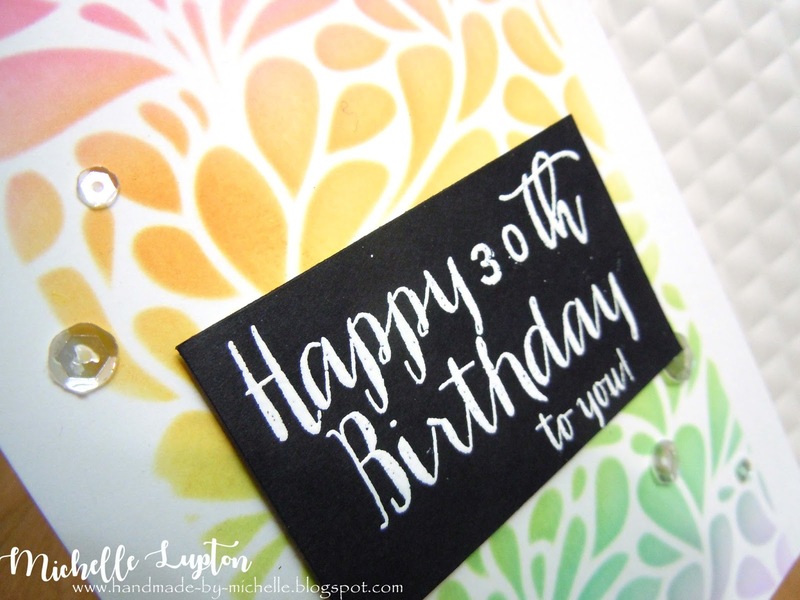 You might be wondering how on earth I came up with this card given that the photo inspiration has a black and white striped wreath with a skull? 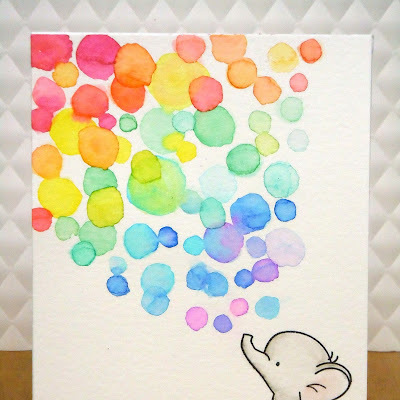 Well, check out the sketch, and tip it on its side - voila! 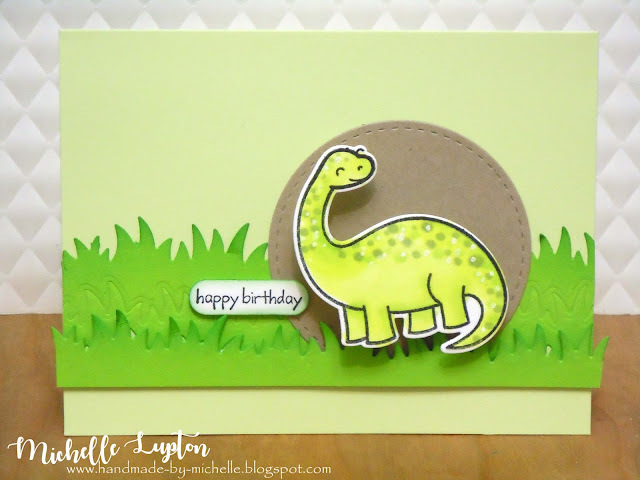 I also popped the dino up on an action wobbler - check out the video! 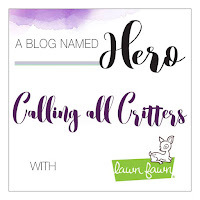 Make sure you drop over to A Blog Named Hero to check it out! I used the "Hello Lovely" stamp set from Concord & 9th, along with the "Mini Thank You" stamp from Studio Katia. I stamped onto watercolour cardstock in Versafine Onyx Black, then clear embossed, before colouring with my Zigs and diffusing the colour with water. 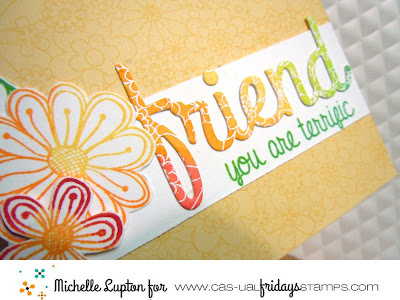 The little strip of green striped paper on the left is a gift I got in a recent order from Lawn Fawn - thanks Lawn Fawn!! 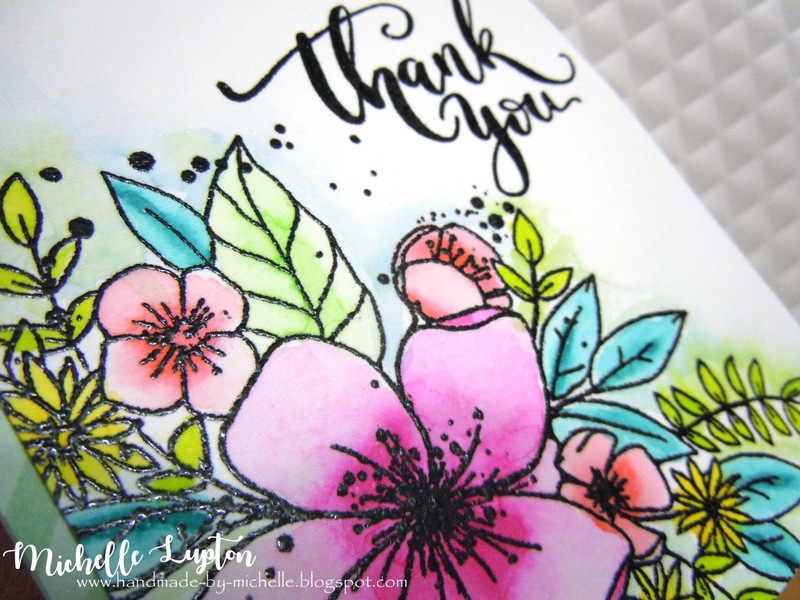 I used up some leftovers on this card - the inked, stamped, embossed and die-cut sentiment is from a card I made for the CAS-ual Fridays/StampNation Masterclass in August! I added a tone-on-tone background to a yellow notecard, and then stamped some flowers using some different inks from Catherine Pooler (to match the "friend" die cut). 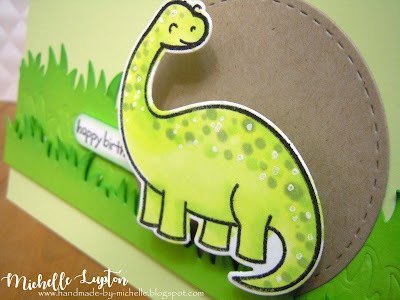 I made this card for a work-mate of mine, whose birthday is tomorrow - happy birthday, Max! 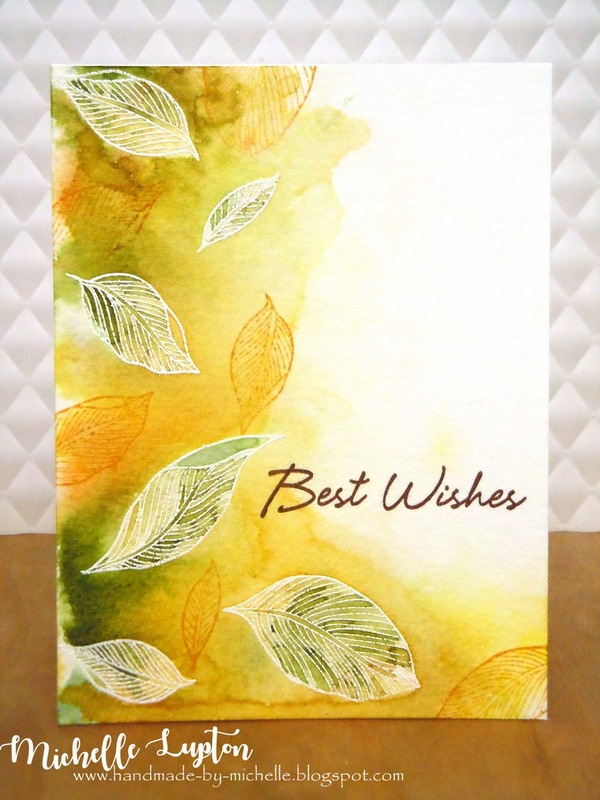 I used leaf stamps from Altenew, a sentiment from Hero Arts, and a variety of Distress Inks in autumnal colours. 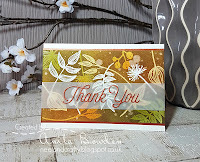 I'm playing along with this week's MUSE challenge - this week's Muse card was made by Anita Bowden. 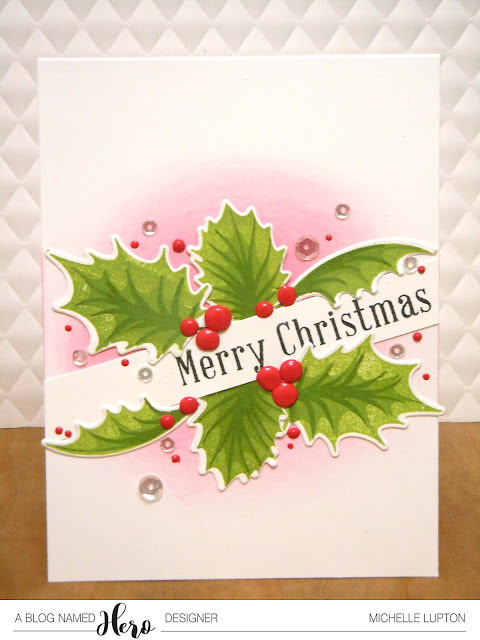 I'm not convinced I like this card - it's a bit too busy for me - needs more white space. 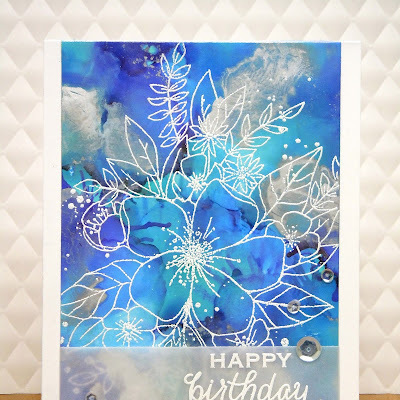 I do like the ombre from blue to very pale purple. What do you think? I used the kaleidoscope background stamp from Simon Says Stamp, coloured with Zig markers and water. 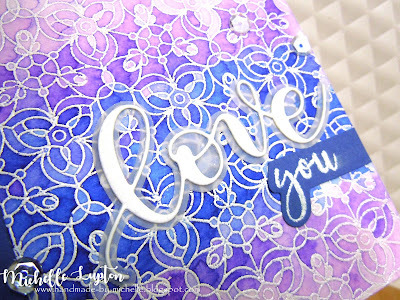 The love die cuts are also from Simon Says Stamp, and the "you" is stamped with letters from Concord & 9th. This week's Wednesday challenge at Simon Says Stamp is Anything Goes, so I will be sharing this card over there!